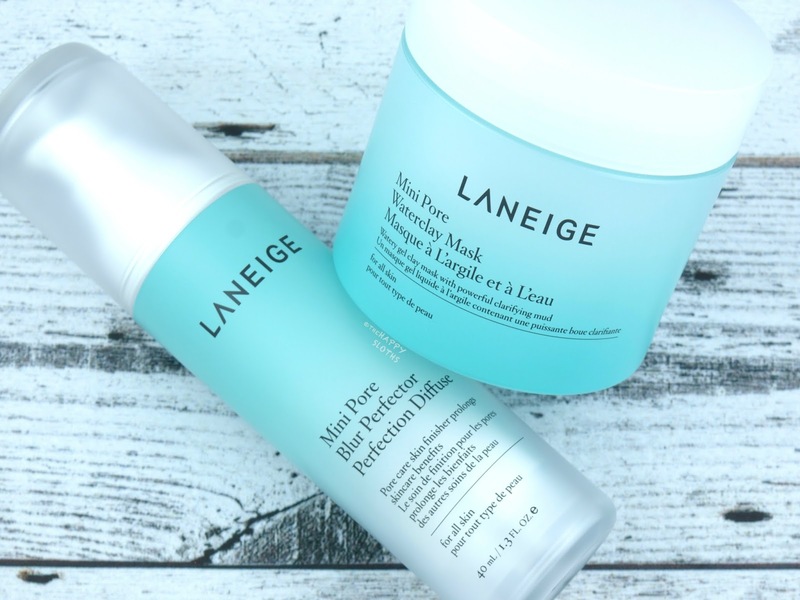 LANEIGE Mini Pore Waterclay Mask ($33 CAD):Housed in a sturdy plastic jar with a pretty teal gradient design, the LANEIGE Mini Pore Waterclay Mask is a lightweight clay mask with an almost gel-like texture. 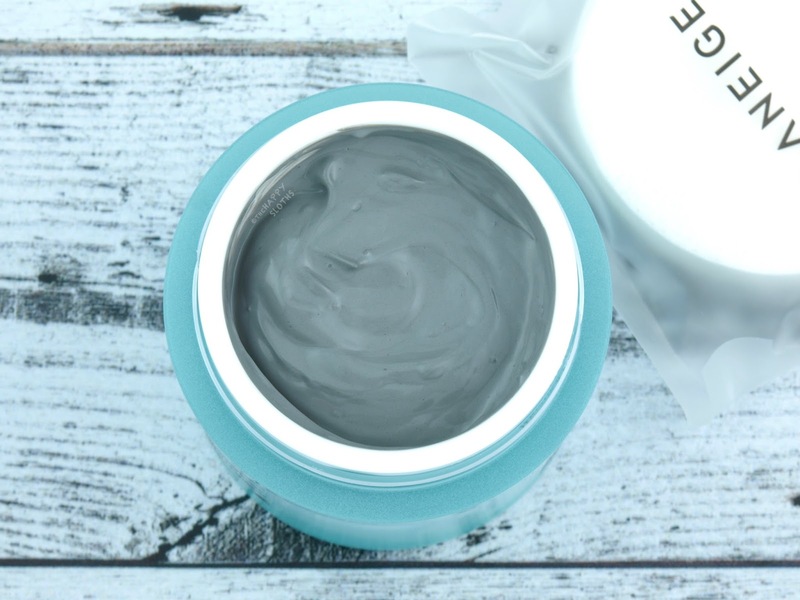 Formulated with water, sea silt, kaolin, bentonite, peppermint extract, and pine needle extract, the mask is very cooling and calming on the skin. Although it sets like a traditional clay mask, it doesn't get as dry or stiff. LANEIGE has included a very high-quality sponge which helps easily remove the mask and after removal, my skin feels cleansed and softened. The formulation does contain some alcohol but because it's not too high on the ingredient list (fifth ingredient), I'm willing to overlook it. All in all, this is definitely a great clay mask for all types of skin, particularly those that may find traditional clay masks a bit too drying. Packaged in a convenient pump bottle, the Mini Pore Blur Perfector is a silicone-based mattifying moisturizer/primer. Unlike your traditional silicone primer, this product has a smooth and lightweight texture upon application. It blends nicely and feels very refreshing on the skin. However, when it dries down, it definitely takes on that slick and smooth silicone finish. As I've expressed many times before, I am not a fan of silicone-based moisturizers or primers and I feel quite the same way about this product. Although it initially mattifies and minimizes enlarged pores and fine lines, the product will end up feeling icky and heavy by the end of the day. The formulation delays the appearance of shine but eventually, excess sebum seeps through, mixes with the silicone, and then causes pilling when I touch or rub my skin. With that said, if you don't mind or perhaps even enjoy silicone-based primers/moisturizers, then you'd probably really like the Mini Pore Blur Perfector! 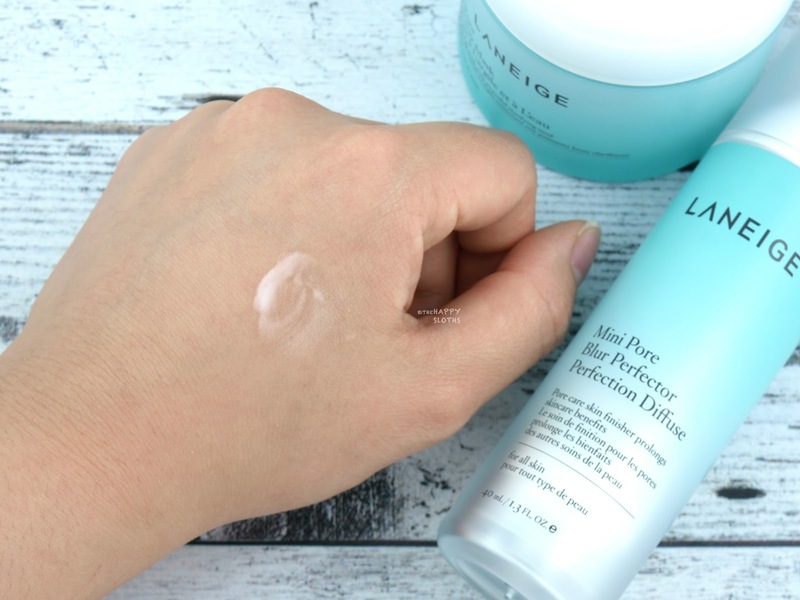 Have you tried any skin products from LANEIGE? What are your favorites? Share with in the comments below! LANEIGE is available online and in stores at select Sephoras in Canada.